Recruited by the US Army and Navy from small towns and elite colleges, more than ten thousand women served as code breakers during World War II. While their brothers and boyfriends took up arms, these women moved to Washington and learned the meticulous work of code breaking. Their efforts shortened the war, saved countless lives, and gave them access to careers previously denied to them. A strict vow of secrecy nearly erased their efforts from history; now, through dazzling research and interviews with surviving code girls, bestselling author Liza Mundy brings to life this riveting and vital story of American courage, service, and scientific accomplishment. Recruited by the US Army and Navy from small towns and elite colleges, more than ten thousand women served as code breakers during World War II. While their brothers and boyfriends took up arms, these women moved to Washington and learned the meticulous work of code breaking. Their efforts shortened the war, saved countless lives, and gave them access to careers previously denied to them. 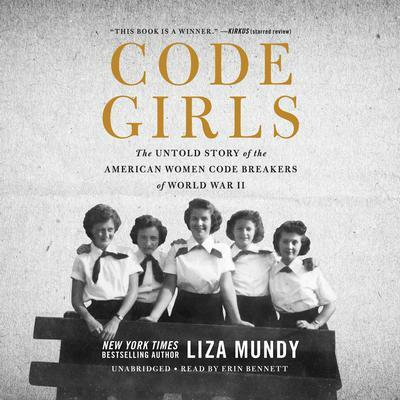 A strict vow of secrecy nearly erased their efforts from history; now, through dazzling research and interviews with surviving code girls, bestselling author Liza Mundy brings to life this riveting and vital story of American courage, service, and scientific accomplishment.